We launched our Institute in September, 2008, at Pittsburgh’s renowned Heinz Hall in partnership with the Allegheny Conference on Community Development and the World Affairs Council of Pittsburgh. Our keynote was New York Times columnist and Pulitzer Prize-winning author Thomas Friedman, and our conference was on how to do business in the Gulf States of the Middle East. Our distinguished panel featured pollster John Zogby, the Ambassador from Bahrain, and leaders from the University of Pittsburgh Medical Center (UPMC), Carnegie Mellon University-Qatar, Burt Hill, dck worldwide, RAND, and the Middle East Institute of Washington D.C.
Our Second Annual Conference on October 13-14, 2009 was titled “Pittsburgh and the Middle East: Forging Partnerships in Energy Sustainability and Green Technologies” and featured distinguished speakers from the Middle East, including our business keynote speaker His Excellency Sayyid Badr Al Busaidi, Secretary General of the Ministry of Foreign Affairs of the Sultanate of Oman, as well as CNN host and Newsweek editor Dr. Fareed Zakaria. The conference also included two panels showcasing Pittsburgh’s expertise in energy and green innovation. PMEI’s Third Annual Conference (November 2010) featured former Secretary of State Madeleine Albright and also featured several ambassadors from the Middle East and a business keynote address by an OPEC Governor representing Qatar. AMEI seeks to brand Pittsburgh in the Middle East. 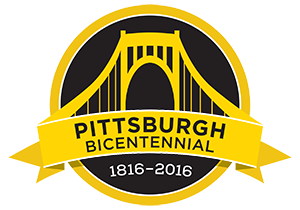 Rated a Top 10 “City of the Future,” Pittsburgh is recognized worldwide for its great universities and as a leading center of energy production, high technology, life sciences, and green innovation. Pittsburgh’s leadership in green technologies was a key factor in its selection to host the G-20 Summit in September, 2009. The goal of AMEI is to foster a greater understanding between the United States and the Middle East and advance a new generation of forward-thinking global leaders and visionary business partners. The Middle East is moving into a new era of economic growth that requires huge investments in education, healthcare, infrastructure, technology, the environment, and energy sustainability. Pittsburgh has a unique opportunity to partner with the Middle East, especially the Gulf States, in meeting these 21st Century challenges. Our Board of Directors is growing and includes executives of Ameri-Tech Solutions, Carnegie Mellon University, EATON, dck worldwide, H.J. Heinz Company, Nova Chemicals, and the University of Pittsburgh Medical Center (UPMC). The Head of our Advisory Council is The Honorable Paul H. O’Neill, former U.S. Treasury Secretary. The large planning committee for our annual conference comprises community leaders in education, business, and culture.